Twitterpated! The Mac Newb Tube twitter feed. Add us! Hey gang. Looks like we are trying to integrate some 2.0ness up in here. Please add us (follow) so we can keep you up to date in a more candid form ;). We are also working on Pownce integration, seems like more of our readers are using that anyway… What are you using? Twitter vs Pownce? 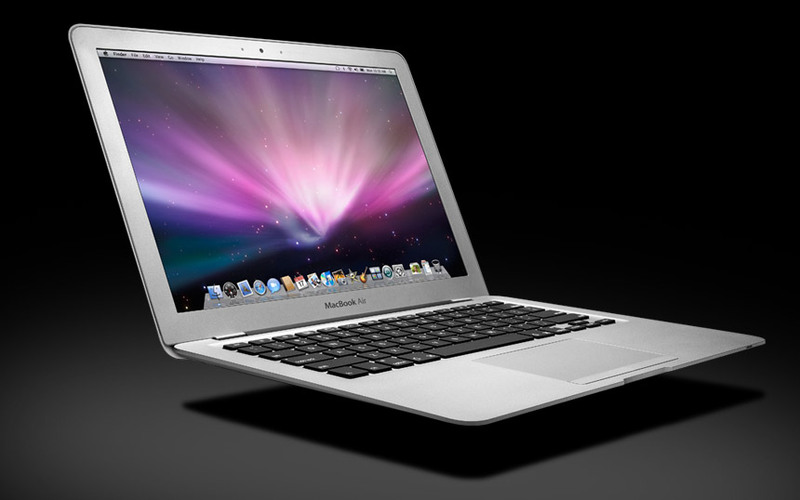 Macbook Air is here! World’s thinnest notebook and Mac ever. 3 lbs. It’s thickest part (.76″) is thinner than Sony’s thinnest part of their ultra portable notebook. 13.3 widescreen LED monitor with iSight built-in. 802.11n + EDR Bluetooth 2.1. No optical drive, $99 add on option. $1799 pre-order today, ships in two weeks. Watch the new ad here. Also, Apple hs posted a guided tour here. Now appearing on Apple.com, aluminum refurbished iMacs. We’ve been tracking them, and they seem to go about 2 hours after each posting. Also, the stock of last gen white iMacs as refurbs have been dwindling. 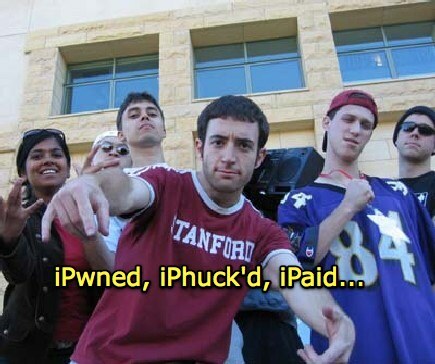 Apple fan-made iPod touch commercial now running on air. See it here. Sorry for the delay of news, we have been piled under our RSS reader by Leopards! More to come. Apple in car media: “Back Row”. Rumors of the iCar and OS X integration in high end luxury models surfaced again when we got wind of this [spyshot?] of Apple’s new media center, dubbed “Back Row”. Essentially the Front Row UI of OS X, it’s moniker is Apple’s implied notion of the safe integration of iTunes media in vehicles. Passengers will be able to control media in the same fashion via remote, while the driver will have a tactile “click-steering-wheel” to navigate without disturbance to driving. It is unclear which automotive manufacture will be the first to pilot the Back Row, though industry trends predict BMW and Mercedes Benz likely candidates. TheMNT predicts that it will be a hit among upper-class consumers already enjoying Apple products at home. The switch to Apple in the autos will be an easy and welcomed edition to their $75,000+ autos. Along with said balling, Apple seems to be slanging product and generally stacking chips, according to financial reports released today. 1.4 million iPhone’s were sold in it’s first quarter, with Apple estimating a wack 250,000 destined for unlocking off of AT&T. Macs and other computers went above and beyond double platinum, hitting 2.2 million. Not surprisingly, the trend of Apple Macbooks and Macbook Pros out shining the desktop line of iMacs, Mac Minis, and Mac Pros continued. The most baller numbers solidifying Apple as the King-of-Bling are; $24 billion in revenue and $3.5 billion in net income. Ending the year with 15.4 billion in hard cash, son, without any dinner-interrupting debt collector calls. 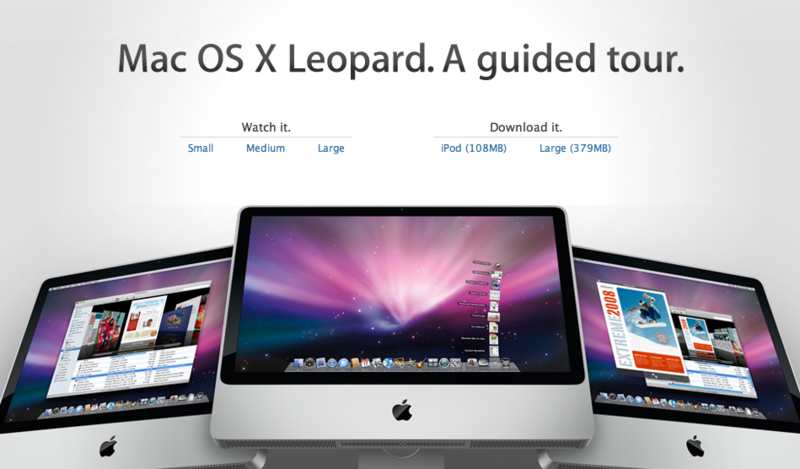 Today, Apple has released a guided tour to Leopard. Following in the footsteps of the iPhone marketing campaign, the videos give a better sense of current and future Apple products. The 27 minute tour is an amazing intro to Leopards most intriguing features. The Time Machine tour shows the phenomenal UI and Core Animations, as well as helpful tips on external drive setup. Spaces is a particularly dazzling tour, showing the power and multi-tasking prowess of the new OS. Mail app has come a long way, and it’s video demo the new add contact wizard, as well as hints to the built in google maps. iChat really shines, showing how easy it is to connect with friends, family, and associates to share and collaborate with documents, photos, and movies. Also, iChat allows screen sharing with any buddy, and backdrops for added fun! The tour ends with a quick overview of installing Leopard on your Mac. Still no feed of these, nor any of the guided tours can be found through iTunes (which we don’t get) in an Apple TV compatible format. The .mov file can be dropped into iTunes and watched via streaming or syncing on the Apple TV. In an apparent email response, one lucky Mac fan got a few words from Mr. Jobs about certain issues including the iPod touch and it’s lack of calendar functionality, calling it a “bug”. More here at Macrumors. 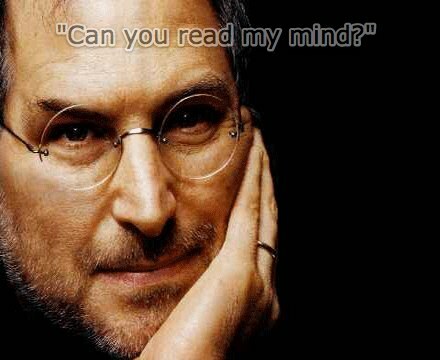 This isn’t the first time, as Steve has been known to respond to varying messages from the masses. Just last week, an iMac user having issues with three different models got a response and a free iPod to boot! Yet again, a Macrumor user sent an email about third party apps on iPhone, getting this response, saying “We like third party apps too, and we’re working on a secure way to let them onto the iPhone. -Steve”. Macbook Nano / Mini with current Apple keyboard? 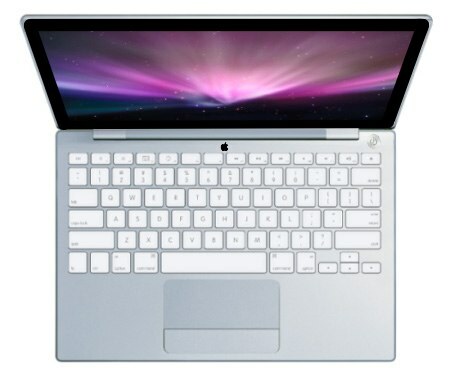 This rendition of the rumored Macbook Nano/Mini has the new Apple bluetooth as the keyboard. Will Apple go this route and forego the past all aluminum look? Or will they stay with the tried and true Powerbook/Macbook Pro keyboard? [Note] Original rendition created and posted by “Anonymouscoward” here, followed by PS work by TheMNT. 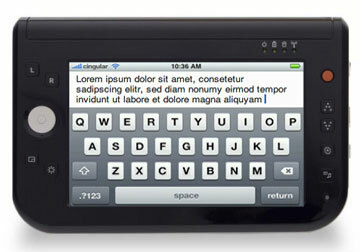 Talks of the Apple Newton reborn, touch screen “MacTablet”. Don’t count on it . Steve has a self stated 10 million sell quota for the iPhone and he wouldn’t want to cannibalize that market even more.